Every year I aim to earn at least 500,000 frequent flyer points through strategic credit card sign-ups and spending, shopping, flying and other means. In 2016, I aimed even higher and finished with a haul of 819,875 Qantas Points (plus a handful of Virgin Velocity points) – my best year yet! As you can imagine, I’m pretty excited about all the stylish travel this will bring. That’s easily enough points for two business class trips overseas for me and my partner, plus some domestic upgrades. Here’s where all those Qantas Points came from. Credit cards continue to be the most lucrative source of frequent flyer points in Australia. I earned more than 600,000 points (i.e. 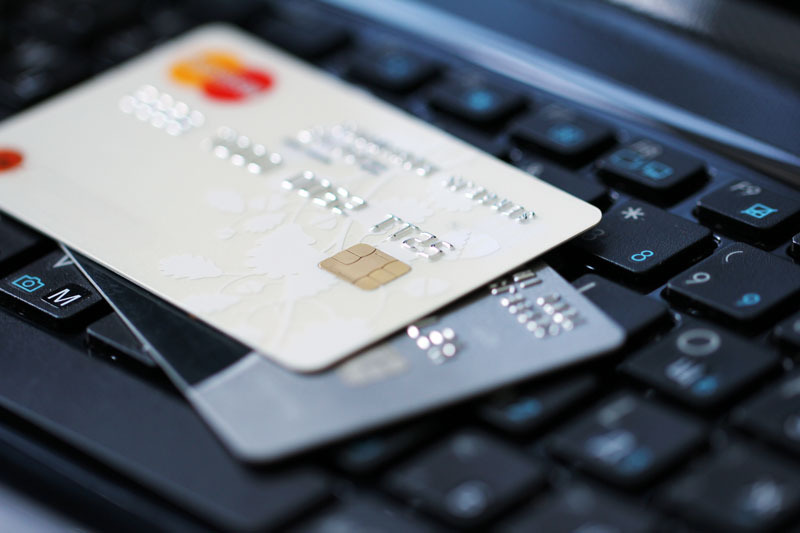 three-quarters of the total) from credit cards in 2016. Much of this came from sign-up offers for several new cards, plus American Express ran a promotion during the year offering 45,000 points for referring friends and family, which helped boost my points tally. As always, I channelled all of my everyday spending through high-earning credit cards, including various AMEXs and platinum Visas and MasterCards. My second biggest source of points was wine (!). The Qantas wine club, Epiqure, continues to regularly offer up to 10,000 bonus points for a case of wine, delivered to your door. That’s on top of the 3 points per dollar you get for your purchase. I earned more than 60,000 points this way in 2016. The wine is not the cheapest but the quality is consistently great and, for me, the extra points more than make up for the slightly higher price than I’d normally pay. Virgin Australia also has a wine club, which I’ve started trialling thanks to a recent promotion. I love shopping online – it’s so convenient, plus I earn up to 10 points per dollar by channelling my spending through the Qantas Mall and Virgin Velocity eStore, which link to big online retailers like David Jones, Asos, The Iconic and many others. 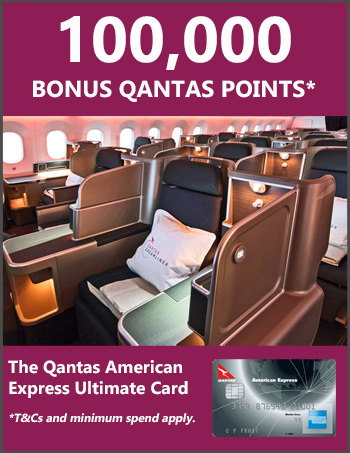 I easily earn over 40,000 Qantas and Velocity points each year this way for regular items like clothes, shoes, and personal and household products. I’ve covered how to do this in a separate post. Qantas Cash – we use this debit card during our travels plus also for domestic purchases where credit cards aren’t accepted and for some business expenses. In 2017, I will again aim for 500,000 points as I expect credit card opportunities to be less lucrative compared to 2016. It’ll be interesting to see how the changes in the credit card market unfold and I plan on blogging about this during the year. I’m also planning on diversifying into other points schemes that will allow me to try new airlines – a blog post about this is coming soon! As always, I’ll continue to post any great points promotions as they arise. To make sure you’re in the know, subscribe to our newsletter and follow us on Facebook. I used to have the Qantas Well-being app but lost it when I changed phones. Now when I try to sign in, in spite of continually changing my password, the screen just takes me to the main qantas screen. I’d like my tracker app back. 100,000 slow points. If you signed up for Westpac black and are waiting for your 100,000 points, don’t panic. I am advised by the staff at Westpac that your points will be credited up to 12 weeks after you meet the minimum spend qualifications. It will be in two lots of 50,000 points at a time. As for cancelation of cards, make sure it is well before the 12 month anniversary, so you avoid another annual fee. ANZ require you to cancel cards via their contact centre. Branches will not cancel, besides, it takes ags to get served. Also netted 66,000 etihad guest miles via flybuys coles bonus promotions and a small handful of velocity. Also looking to diversify this year into other schemes. Great site – keep up the awesome articles! That’s awesome Michael – well done. I’m flying JAL first class this year and soon want to try Emirates, Etihad and SIA (especially when their new first class comes out in about 12 months). Wow that’s awesome – well done! No once you’ve met the minimum spend criteria and the points are in your account you can cancel the card. However it’s possible the bank may be less likely to approve you the next time you apply. Hi flyboy, got 3 new cards this year to get the bonus points! If I cancel them now can I reapply for them next time they offer bonus points? Any info on this would be greatly appreciated! Hey Mark, it depends on the credit card provider – some (e.g. ANZ and American Express) require you to have a gap (e.g. 18 months). With others you can definitely cancel and then reapply soon after. If you see a card offer you like, check the small print – it should state very clearly if there are any restrictions. What was the hit on your credit rating from opening 4 credit cards after a previous year of 2-3?! Active Credit cards have a very real impact on your credit score so if you are about to buy a house or get another loan don’t follow this strategy. However if you are not go for it, normally your credit score based on solid repayments will recover over the year. Hi George, I tracked my Veda score to see what would happen. It dipped by about 30 points with each application, then recovered slowly. I finished the year with a slightly lower score overall. It doesn’t worry me as I have no plans for a mortgage any time soon but I do think people need to be careful – it all depends on their personal circumstances. Also, I close my credit cards pretty quickly so I never have many open at once. I think I’ll do a blog post about this soon!